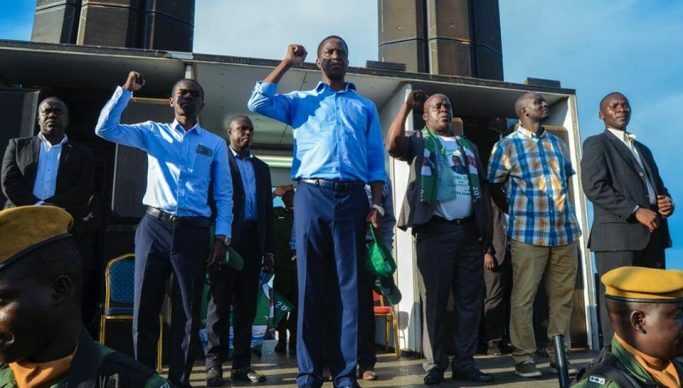 President Edger Lungu says he feels like Manchester United football club supporter that has just lost a game after losing the Roan Parliamentary seat to the National Democratic Congress. Lungu has since accepted the defeat and said it was the nature of democracy to win and lose some elections. He said the people of Roan Constituency had spoken and that Government should listen. And lungu has congratulated NDC for winning the Roan Parliamentary seat and the Patriotic Front for emerging winner in the Bahati Parliamentary by-election and other local Governmental elections. Lungu said this when Commonwealth Secretary General Patricia Scotland paid a courtesy call on him at State House in Lusaka yesterday. Meanwhile Special Assistant to the President for Press and Public Relations Amos Chanda, said the lungu did not expect the results that came out of Roan and has called on the PF to conduct an introspection. “For Roan, this is not the result that the President desired, but this is what democracy has delivered. Democracy is a system of Governance we willingly gave ourselves so we must abide by its dictates. “The President has called on the party to do an internal introspection to understand why the PF has lost, he has accepted the outcome of the election in both constituency. The PF scooped the Bahati Parliamentary seat with a landslide victory with its candidate Charles Chalwe polling 11, 481 votes, while UPND’s Justin Bwalya got 2, 381. In Roan NDC candidate Joseph Chishala scooped the Roan Parliamentary by-election. Chishala got 8, 665 votes, while Joe Chibuye of PF got 5,533 votes.